One of the main challenges that insurance companies face is a need to differentiate themselves. This industry overall, is just waking up to social media and influencer marketing, but some campaigns already stand out tremendously. Where do you least expect to see an Insurance ad? We are so used to seeing detox tea and Kylie Jenner lipstick in the hands of ubiquitous social media influencers. No surprise, the promotion of insurance services is literally the last thing we expect to see in our feed. But wouldn’t the detox lovers like the idea of having a health insurance? Don’t charming Kylie Jenner fans own cars? Canadian company Sonnet Insurance have figured it out: Instagram is one of their main Social Media channels. Not long ago, Sonnet was actively collaborating with local Instagram influencers. Almost all of them were from Toronto, which makes sense as Sonnet is an official insurance partner of Toronto FC and Blue Jays – both favorite sports teams of Torontonians. provided influencers with some memorable experiences. Tickets to the games, trip to the music festival, Sonnet understands the importance of building a real relationship with an influencer, and for that they deserve kudos. 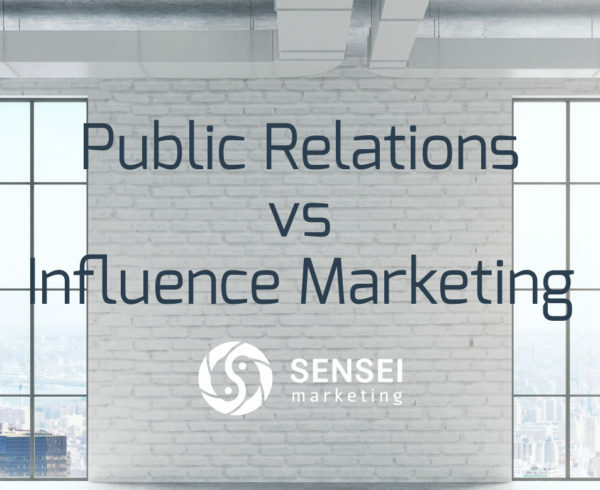 The examples above show that Sonnet allowed engaged influencers to speak honestly, and that’s very important for building trust with both influencers and consumers. Over all, Sonnet’s #OptimismCan campaign is a decent example of a common pay-for-brand-mentions influence marketing strategy, where brands build authentic relationships with social media influencers, create engaging social content, and use a human tone and voice in communication. That being said, their campaign is fairly basic. There’s so much more to influence marketing than simply incentivizing social media celebrities to mention you. 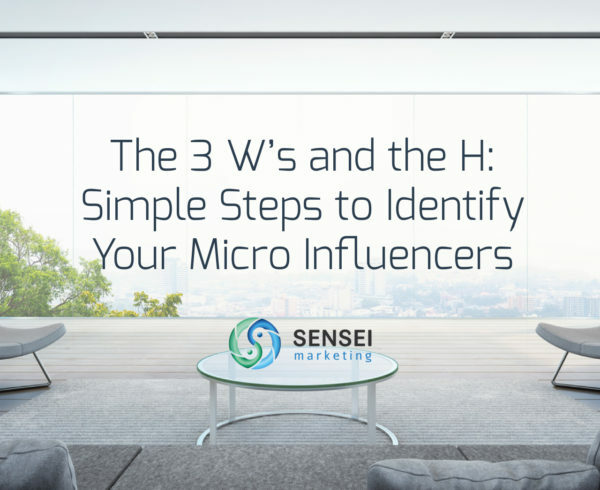 Micro-influencers have a much more defined audience. Instead of working with everyone and promoting everything, you can create a specific message – “Sonnet is the best home insurance provider for Torontonian mothers”. Deanne Wilder (her Instagram post is above) looks like a great choice for such collaboration. Sonnet has a strong relationship with the local influencers. Let’s allow them to use their voice! Create a storytelling campaign asking the influencers to share the stories about the power of optimism in their life. How did optimism help them achieve their dreams? What are the biggest risks they’ve ever taken? Sonnet believes that “optimism is worth protecting”, so this might become a CTA of the campaign – #OptimismCan change lives, but you need Sonnet’s insurance to protect yourself from the risks! Every customer has the huge power to influence purchases of his close circle. Expand your campaign to use this power – don’t stop at simply collaborating with influencers. Allow their audience to participate and to share their stories with a campaign hashtag. Offer an incentive and create a social media contest. If you do everything right, you will go much further than simply raising awareness. The contest can drive traffic to your platforms, boost engagement, referrals and leads. In order to promote its Telematics device, UK-based Direct Line insurance identified the vlogger Alfie Deyes on the basis of…his famous lack of driving skills. The Brit was so bad that he even created his own hashtag #AlfieCantDrive (something tells me that Alfie’s 4.5 million followers on YouTube also must have done something with Direct Line’s decision making). Direct Line provided Alfie with an intensive driving course. The vlogger has been in front of the camera during the whole learning process and also has been creating exclusive content for Direct Line’s YouTube channel over a four-month period of the campaign. I’m impressed by Direct Line’s attention to detail: they really invested time in getting to know their influencer, the tone and voice he’s using when communicating with his audience, and the things he’s passionate about. Not only the #AlfieCantDrive joke between the YouTuber and his subscribers has turned into a real online challenge, but Direct Line also did everything possible to keep their influencer genuinely excited. Great experience, fun goodies, easy-going support – no doubt, Alfie’s audience now knows who’s the most fun insurance company out there. That being said followers, impressions, views and mentions do not necessarily equal influence. I suspect that this campaign was focused on creatively engaging 4 million followers instead of actually moving them along the customer lifecycle. Any useful influence marketing campaign needs to focus on leads and sales, not just buzz. For instance, why not use Alfie in an online video campaign? Now, when he finally drives a car, shoot a couple of eye-catching videos promoting the Telematics device, and boost them on social media. Don’t forget to give the audience some incentive – offer a discount for those who use Alfie’s promo code. This promo code will help track the conversions, so you’ll be able to calculate the ROI of your campaign. As simple as that, the great awereness campaign now also influences purchases! Healthcare + Insurance. Both these industries are complicated enough on their own, and when they merge into one, it usually means two things: overly formal customer service and confused clients. Let me introduce you to one more insurance company that appeals to digitally savvy millennials. But, joking aside, Oscar is really focused on making the complicated world of healthcare less confusing. As Fast Company reports, the company is pioneering digital data usage for health insurance by “collecting performance reviews and customer recommendations on the website, amounting to something like Yelp for doctors”. But what interests us today is their video testimonial campaign. What I love about this campaign is that the audience of it is very well defined. Oscar segmented the audience by the industry and created short video testimonials for different segments, such as Oscar for Restaurants, Law firms, Creative agencies, and more. All the videos feature a real person with a story the audience can relate to, each person essentially plays a role of a micro-influencer: restaurant managers are much more likely to engage with the message delivered by the restaurant manager Jamie S., than a faceless insurance brand. And this campaign is not all that Oscar has on their YouTube channel: they also have plenty of useful information, tips, and guides. I like that the company decided to cater to individuals instead of corporations, and went for the “customers = micro-influencers” approach instead of simply collaborating with social celebrities. Way to go! To sum up, even though the insurance industry is not associated with creativity and innovation, there are ways to make a marketing campaign stand out. Influencer marketing in insurance still needs to evolve from the typical “let’s pay social celebrities” kind of tactics to “thinking outside the influencer”. 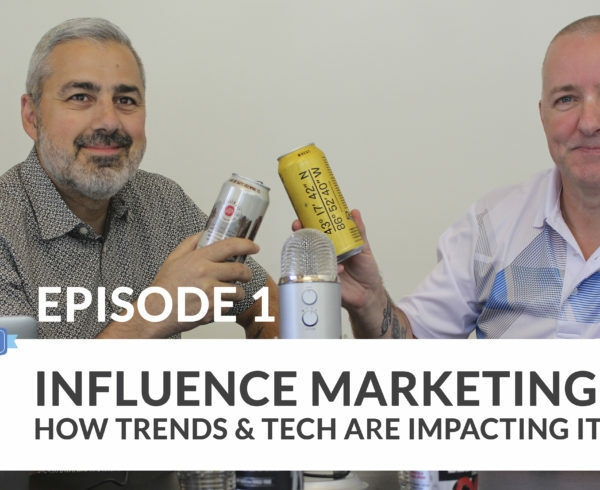 This transition is already happening, but you can still be one of the first to leverage true influence marketing. My advice for insurance companies is to focus on the human voice first, instead of focusing on rates and fees. Define your target audience and create content which is perfectly tailored to them. 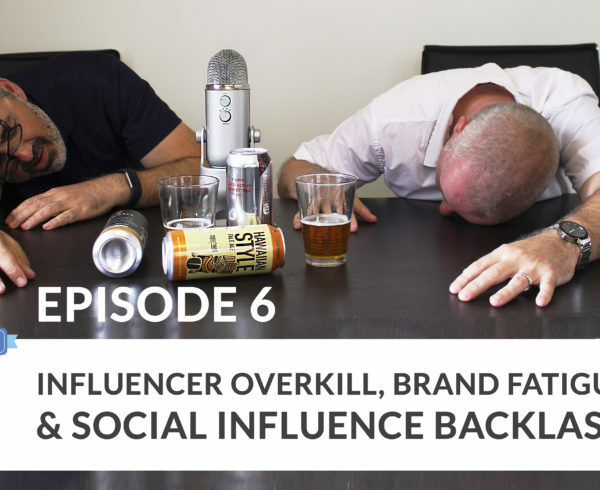 Step up your influence marketing game, and definitely don’t be afraid of social media! 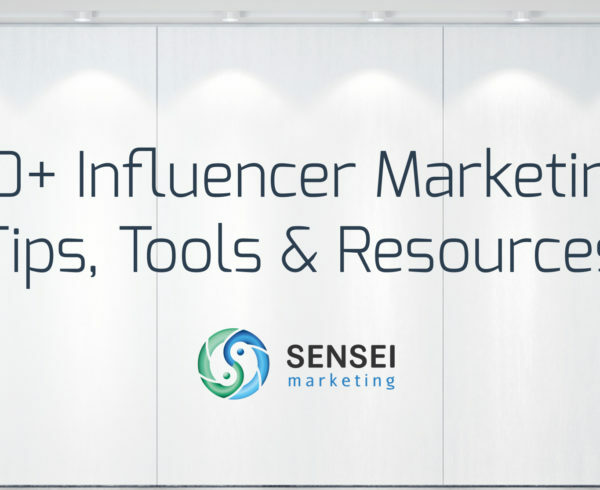 Need help improving your influence marketing strategy? Take a look at our Influence Marketing services or contact us today!